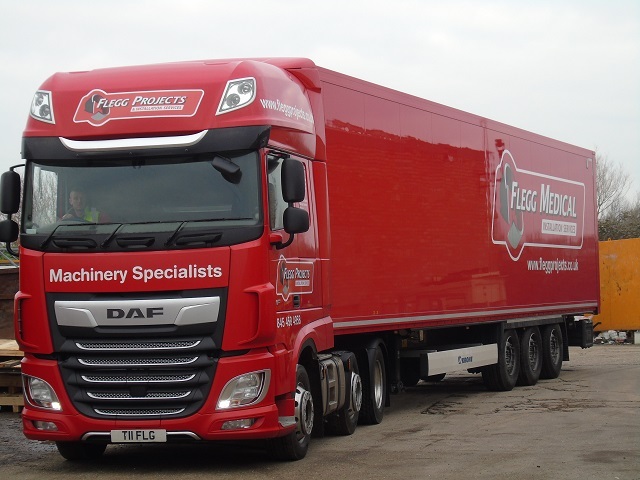 Leading machinery mover and installation specialists, Flegg Projects, have added two Krone trailers to their UK and European freight service which, says the company, have the loading flexibility to cope with outsized and high-value cargo. For general work, including factory relocations, machinery removals and installations, Krone’s Profi Liner curtainsider is ideally specified – with a lifting, sliding roof and extendable, side-opening rear corner posts. 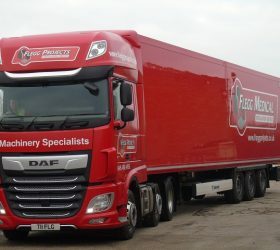 According to Jayson Flegg, virtually everything the company transports is outsized, uniquely shaped, delicate and of high value – a typical load easily exceeding £1m. This, he adds, is where the attributes of the second Krone trailer also come into play. Built for strength, security and high load-retention, the Krone Dry Liner Duoplex Steel box van is constructed from insulated galvanised steel cassette panels, including the front bulkhead, which has horizontal internal reinforcement and a 250mm fork lift protection strip. A recessed load lock system accepts universal loading beams, ideal for mixed loads, while the internal walls are reinforced with a 350mm protection strip. In this respect, the Dry Liner comes with flush-fit double-locking container-type rear doors and owing to its high strength Code XL-rated construction, accepts form-fitted and strapless loads within an internal height of 2,815mm.